Murali Gopy's profile and biography is given below. He is now familiar to almost all the movie lovers in Kerala and to the Malayalam audiences outside Kerala. He has proved himself as an actor, scrip writer and as a singer too. Born to Bharat Gopi, artistic skills are there in his genes and he is a hardworking guy who shapes his inborn talents. Read the below article to know more about him and his life. Murali Gopy or V. G. Muralikrishnan hails from Chirayankeezhu of Trivandrum district, Kerala, India. He was born to Velayudhan Gopinathan Nair (Bharat Gopi) and Jayalakshmy.S.V. His father was a well know, very talented actor of Malayalam film industry who has received a couple of national and state awards. Murali has a sister, Dr. Minu Gopi. He is married to Anjana Pillai and has two children - Gauri and Gaurav. Being the son of the noted actor Bharat Gopi, we will definitely expect more from him, and to our surprise he was able to meet our expectations. Murali is now popular not only as an actor but also as a scriptwriter and singer. He is also a short story writer and had published his first short story 'Ayur Rekha' in Kala Kaumudi in 1991 at the age of 19 Yrs. Before entering into the film field, Murali was a journalist. He has worked as a sub-editor for the leading newspapers such as The Hindu and The Indian Express etc. Now he is managing his time to be an artist and to take care of his journalistic career. Murali Gopy made his debut as an actor through the Malayalam film "Rasikan", directed by the known director Lal Jose. The movie released in the year 2004 had Dileep and Samvrutha Sunil in the lead roles. It was the debut movie of Samvrutha Sunil as well. In this movie Murali got a supporting role as 'Bhaskaran', a local dada. Another peculiarity of this movie is that it is the debut film of Murali Gopy as a scriptwriter too. It was a indeed a good start and he is conquering greater heights now. There is a saying in the Malayalam film industry that some one who had made their debut through a Lal Jose film will definitely grow in the field. Murali's incidence is proving the same, same goes with Samvrutha too. There is one more peculiarity for this movie, it is for the first time Murali is rendering a song for a film. In fact with his debut movie itself, he has proved that he is a good script writer, an actor and a singer too. Further, in 2009, Murali appeared as a supporting actor in the Mohanlal movie "Bhramaram", directed by Blessy. He was given the role of 'Dr Alex Varghese', an abettor. Murali's realistic performances as Dr. Alex fetched him the Sathyan Memorial Film Award for The Best Supporting Actor. In 2011, Murali got the opportunity to be a part of the Kamal movie "Gadhama". He is in fact lucky to work with the renowned directors. In Gadhama, the role of Murali was that of a truck driver named Bharathan. By then he got lot of positive reviews from the Malayali viewers in and out Kerala. In 2012, the Malayalam movie "Ee Adutha Kaalathu", directed by Arun Kumar Aravind was released. It was actually a turning point in the life of Murali Gopy. He who has written the script of this movie has appeared in the role of 'Tom Cherian'. The movie was declared as a hit at the box office and the Arun Kumar - Murali Gopy team became very popular. Murali did receive many awards for this movie. In the same year he appeared as a villain in the Mammootty movie "Thappana", directed by Johny Antony. This time also an award was waiting for him, the award for the best villain. Murali was actually growing, the positive responses, feedback and awards kept him hard working and enthusiastic. In 2013, he was lucky enough to be a part of the movie "August Club", directed by K. B. Venu. The story was women oriented where Rima Kallingal played the central role. But Murali got the chance to work with great artists such as Thilakan, Sukumari etc. Sometimes, these lucks are more than an award for a true artist. On 14th June 2013, the next project of Arun Kumar - Murali Gopy team was released. The movie was named "Left Right Left", a political thriller. The movie which portrayed the current political situation in our country was wholeheartedly accepted by the viewers around the globe. Murali Gopy, in-spite of writing the script for the movie has also appeared in a major role as Che Guvera Roy. "Kanyaka Talkies", the debut venture of K.R Manoj and "Kaanchi", directed by G.N Krishnakumar are some of the upcoming movies of Murali Gopy in Malayalam. In "Kanyaka Talkies", we get to see Murali in a different role as Father Michael Plathottathil. 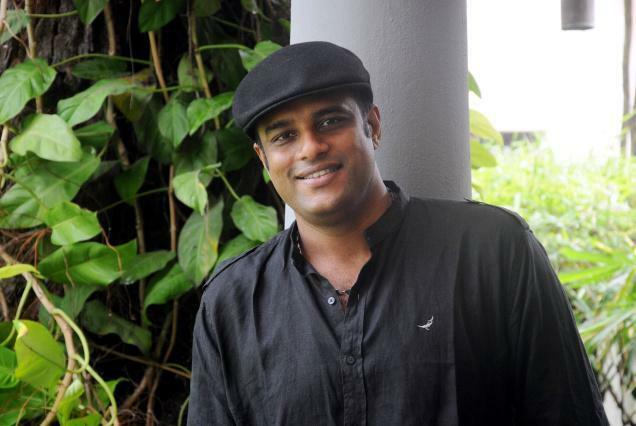 Murali Gopy made his debut as a screenwriter through the 2004 Lal Jose film "Rasikan". The movie was a commercial success. Further in the year 2012, he has written the script for the movie "Ee Adutha Kaalathu", directed by Arun Kumar Aravind. This movie was declared as a hit at the box office and Murali did receive an award for the best script. This has boosted up his confidence and in the year 2013, he again wrote the script for the movie "Left Right Left", directed by Arun Kumar Aravind itself. As a man who is born to a great father, he has shown his talents in various fields including singing. In 2004, he made his debut in this field by rendering the song ""Chaanju nikkana..." for the Lal Jose film "Rasikan". The music for this song was composed by the great music director Vidyasagar. Then again in the year 2013, he sang the song "Left Right Left movie Anthem - Kaal Kuzhanju...". The music composition of this song was done by Gopi Sunder. Murali has written the script for these two movies and has acted in these two movies as well. Awards was not very far away from such a talented young artist. He has received many awards for his outstanding talents in various fields. Some of the awards received by him are listed below. The Sathyan Memorial Film Award for The Best Supporting Actor in the year 2009. Mohan Raghavan Award for The Best Script Writer in 2012. Asiavision Movie Award for The New Sensation in Script in 2012. Asiavision Movie Award for The Best Anti-Hero in 2012. Nana Film Award for the Best Script Writer in 2012. P. Bhaskaran Foundation Award for The Best Story in 2012. Asianet Film Award for The Best Villain in 2013. Vanitha Film Award for The Best Anti-Hero in 2013. Reporter Movie Award Second Edition for The Best Supporting Actor in 2013. Jaihind Film Award - Special Jury Award in 2013. This article covers the details related to new releases of Kavya Madhavan in 2011. Story, Preview and stills of the following films- Christian Brothers, China Town, Maadan Kolli etc are added here. Amala Paul is the new sensation who has marked her spot in the Tamil film Industry. Amala Paul is now busy with a lot of projects in Tamil films which makes one of the rising star in Tamil film Industry. Manju Warrier is one of the most talented and beautiful actresses of Malayalam film industry. Though she has very few films to her credit, most of these films are a hit. Read more to know the profile, filmography, awards and family life of Manju Warrier. Amalda Liz Joseph malayalam actress profile and biography are given here. Amala Liz Joseph who keeps many dreams in modeling will make her debut in acting through Arakkal Bevi, an upcoming malayalam movie directed by Shaji Pattanam. Read more to get details about Amala Liz Joseph, an upcoming actress.